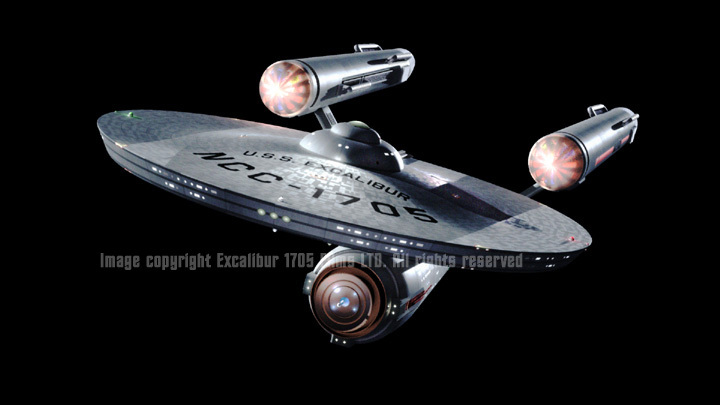 Some pictures of the ship "Model"
NOTE: All these images are the property of Excalibur 1705 Films Ltd. All rights reserved. 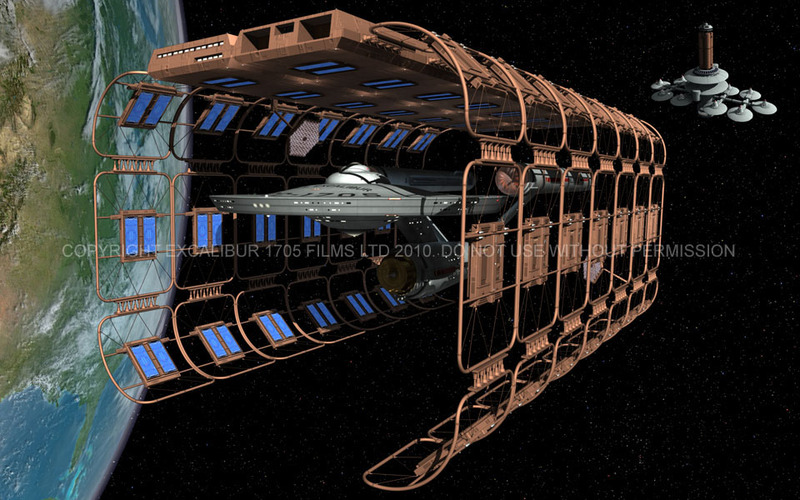 The USS Excalibur in Dry-dock. 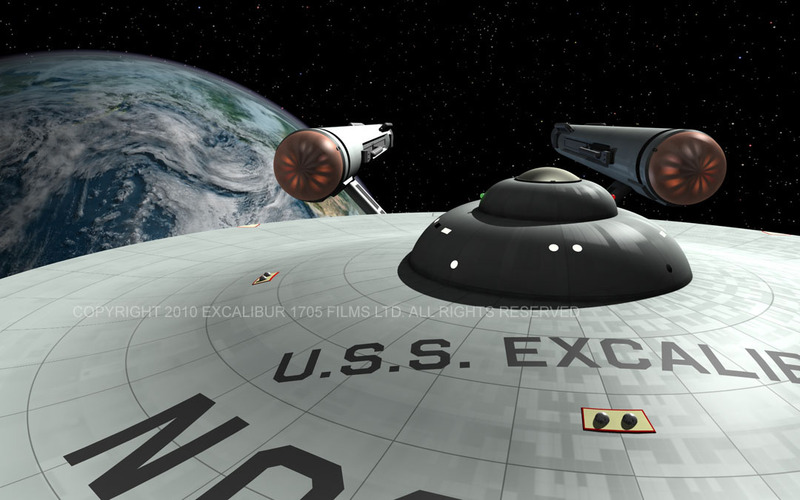 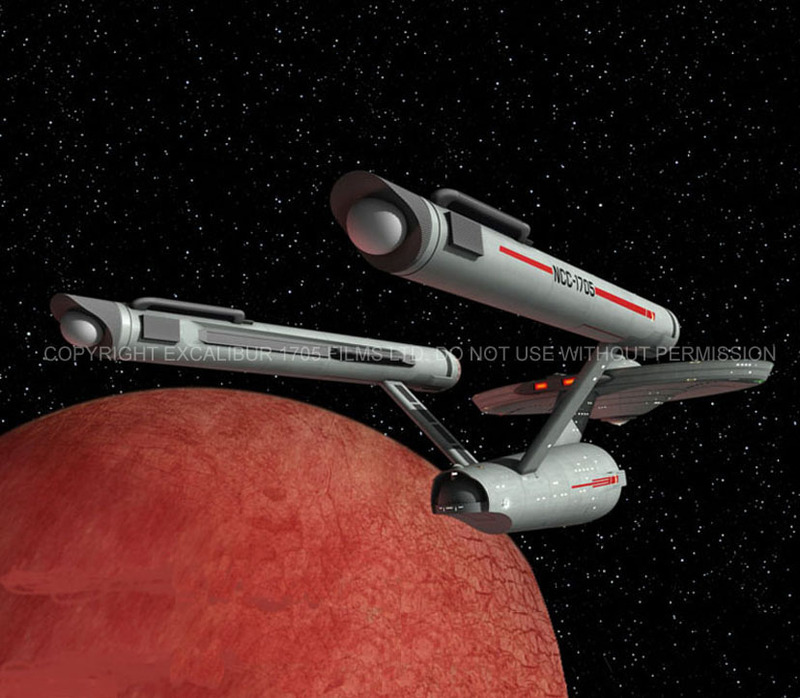 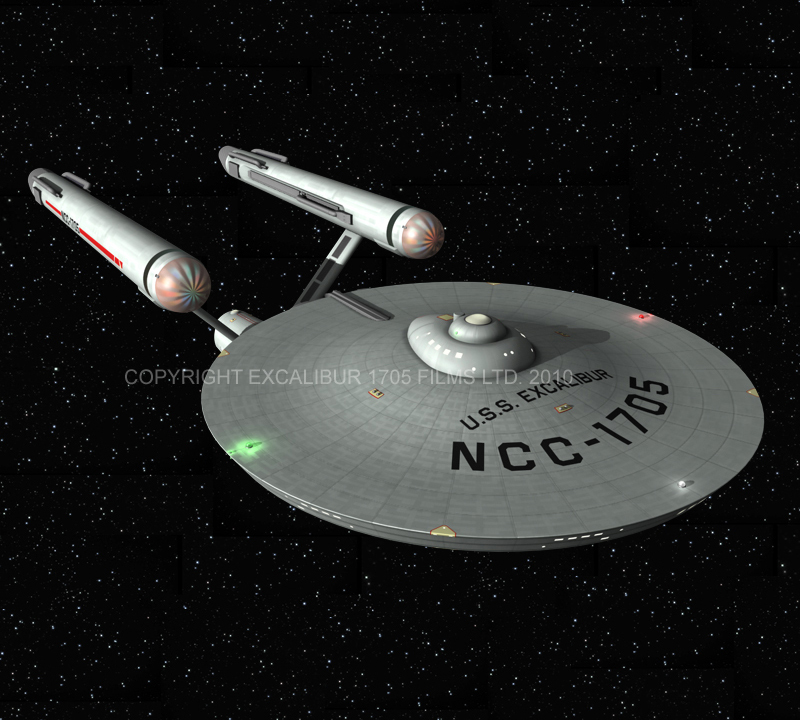 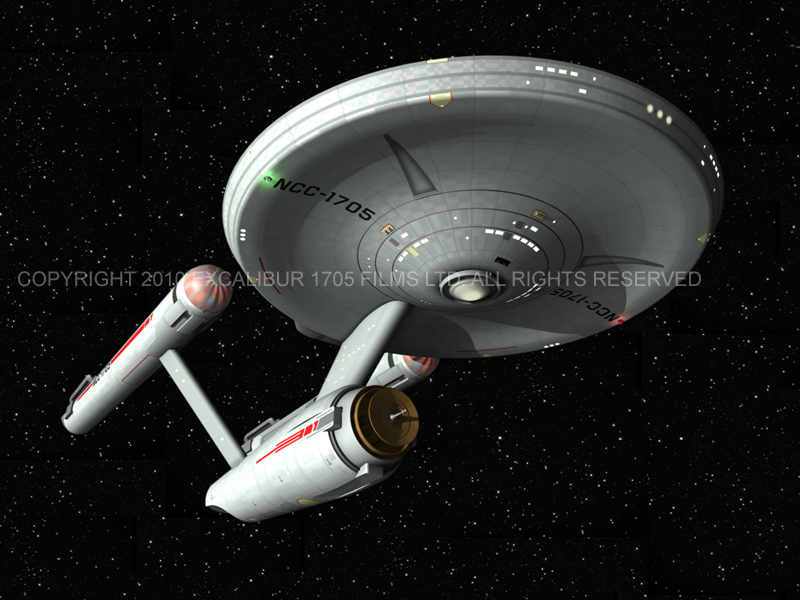 The USS Excalibur in Orbit. 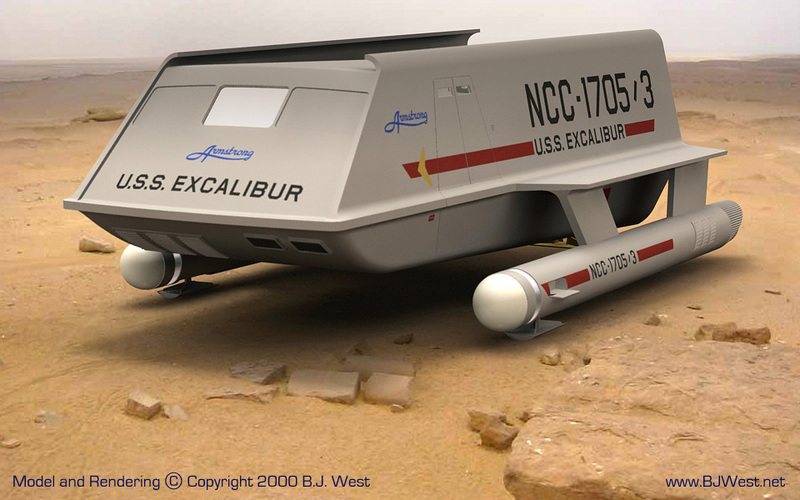 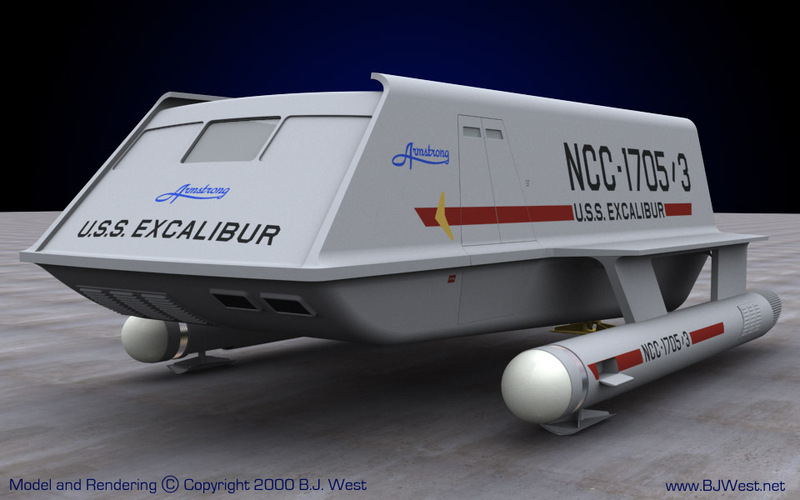 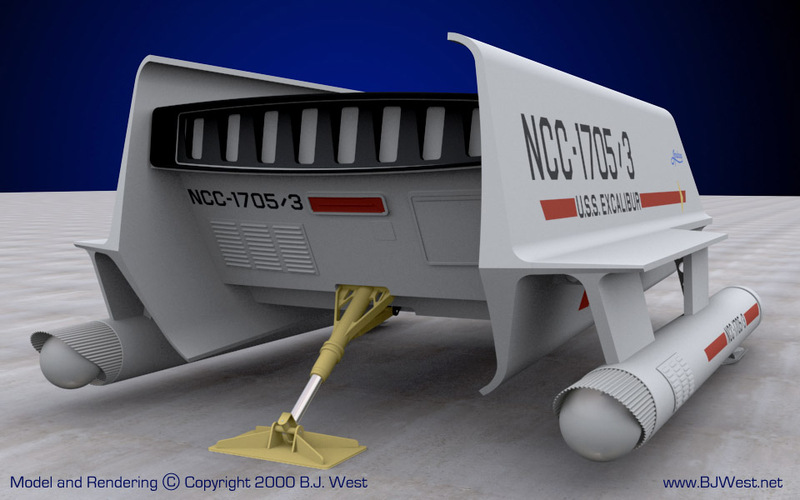 The USS Excalibur Shuttle "Armstrong". 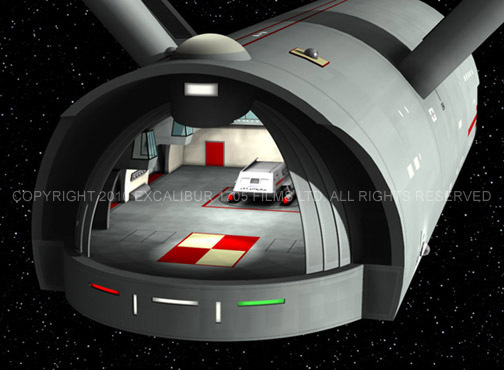 The USS Excalibur's aft Hanger Deck.